Poem of the Day, April 29: Joseph, Diane Procter Reeder | Welcome to the new Journalverse! 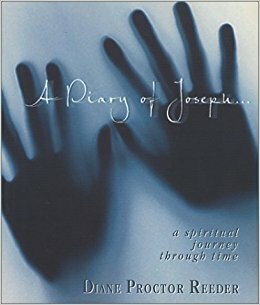 A Diary of Joseph imagines the journey of this biblical patriarch’s struggles and joys as he walks a strange, difficult, and ultimately victorious journey. At the same time, it parallels the story of a family in a life-or-death struggle of their own. It is a story of faithfulness for those who take seriously their own walk of faith…and are not afraid to ask the hard questions. Diane Proctor Reeder is an author, editor, playwright and business owner. Her latest book, “What the Word BE…Why Black English is the King’s (James) English” was named as one of the Top 10 Black Books of 2014 by national reviewer and NAACP Image Award Committee member Kam Williams. She was also invited to present the book at the 2014 Congressional Black Caucus Legislative Conference in Washington, DC. She writes primarily on spiritual topics that move readers to think more deeply about their faith and their lives. Diane serves as an editor for Urban Ministries in Calumet City, Illinois, the largest African American Christian publisher in the country; and for Parker Books in Detroit, Michigan, whose founder has a number of collaborative publishing agreements and relationships with Christian publishers throughout the country. I cling to all pieces of hope. Today, I saw a small beetle whose foot brushed a spider’s web. The bottom part of its fragmented body was beginning to come entangled. But it fought–I’ve never seen anything like it. I could almost see him thinking. He fought hard, but he just got more entangled. So he rested. Then he gently pulled and turned–just enough to pry the bottom of his body loose from the sticky new threads of the web. He sat there looking at it, for a while, almost as if to celebrate his victory. Then he crawled down the walls and slipped under the door to freedom. Today, spend time in nature or your home or workplace and carefully observe a living being — a blossoming tree, a bug, a human, an animal. Notice the smallest details. Write what you see.